Please examine the attached photos that I believe was used to in relation the Bin Laden death story that was published in the Evening Herald on the 2nd of May 2011. Do your own research and then make up your own mind about what have been told by the mainstream media. As you can see, the photo, which you have flipped over, was already on an old website from last year. It clearly looks photoshopped. I would not put much stock in it, but that's just me. It's hard to get pictures of something that never happened. Khalid bin Laden. Unarmed. Genuine S.O.C. pic. -- wouldn't it? All Bin Laden and associates would have to do would be to wait a few days and then release video of him holding a newspaper and talking, completely undermining the "greatly exaggerated reports of his death" and discrediting the US state. So it seems he really is dead, although of course the circumstances of his death may be open for discussion. Right. Can you identify Pol Pot's skull in the pile? Actually mentioning a scumbag dictator like Pol Pot in this conversation may have been a rather poor tactical error on your US apologist part. Mainly because it gives me, the US hating pinko the opportunity to point out that the death toll due to Pol Pot, truly one of the nastiest leaders in history, in his killing fields as computed by reliable sources such as Amnesty international and the Yale Cambodian Genocide Project who would put the number between 1.4 million and 1.7 million, which makes it, according to some reports, comparable to the number who have been killed in Iraq and Afghanistan to date in the US drive to bring democracy and peace to the middle east, if you count gulf war I, the ensuing sanctions, and gulf war II and afghanistan to date. Much of a muchness really when it comes down to it. The methods and propaganda dffer but the numbers of dead people remain comparable. Well V, you know your statistics about Pol Pot. 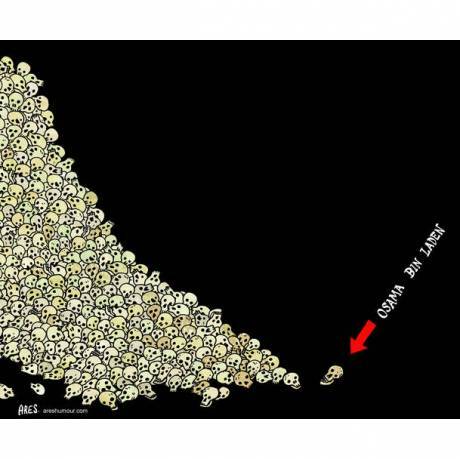 I didn't like the posted cartoon because it reminded me of photos of the unearthed skulls from PP's killing fields. 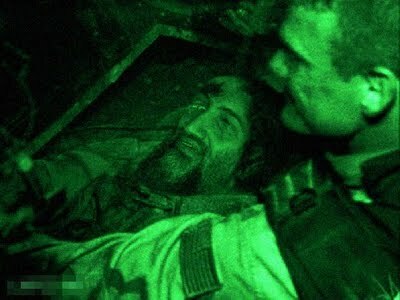 Adding Osama Bin Laden's skull to what appears to be holocaust skulls makes OBL another victim of the Iraq-Afghani holocaust. He wasn't a victim, he was an organzer of mass killings using suicide bombers in trucks and planes as weapons. Most of the people killed by suicide bombers on crowded streets, in squares and outside mosques in Afghanistan and Iraq have been noncombatant passersby. Bin Laden died many years ago. The present propaganda offensive on Bin Laden is just that. It is designed to pluck something from what is the disaster Afghanistan, give Obama a boost and most importantly to prepare the groundwork for an escalation of war in Pakistan and possibly to Balkanize the region. Already we see the blame game that the Pakinstani government knew about his whereabouts. In other words: Attention Americans, Pakistan is the new enemy, hate them. Back in late 2001 apparently Bin Laden was on dialysis. If you have this you must have access to an excellent source of regular clean water for the dialysis machine. Also somebody on dialysis would be very ill and tired much of the time. In this Pravada report in 2008 it says: Benazir Bhutto named Osama bin Laden’s killer before her death. Benazir Bhutto, who was killed in a suicide attack at the end of 2007 stated in November that the Osama bin Laden, the head of the international terrorist network al-Qaida, had been killed. Bhutto claimed that she even knew the man who had killed the prime suspect of 9/11 terrorist attacks in the USA. According to Bhutto’s words, Bin Laden was killed by Ahmed Omar Saeed Sheikh – one of those convicted of kidnapping and killing U.S. journalist Daniel Pearl. The video of Bhutto’s interview to Al-Jazeera can be found on YouTube (click to watch the video). The assassinated Pakistani prime minister says the words about Bin Laden’s killer during the second minute of the interview. She stays absolutely calm when she pronounces the names. More than 600,000 people have already viewed the video. Correspondent David Frost, who interviewed Bhutto, did not even care to ask more questions about the sensational statement. Frost, who is believed to be an experienced journalist, did not even ask Bhutto when Bin Laden was killed. Benazir Bhutto’s interview to Al-Jazeera received very little attention from the media. There was practically no newspaper in the world who published the news on its front page, although tens of thousands of people discussed the news for two months. It just so happens that even Al-Jazeera messed it up. There was no official who commented on the information. Not a word was said from the CIA and the FBI. They did not even lift a finger to reject it. Absolute silence. But the U.S. administration promised a reward of 25 million dollars for Bin Laden’s body, dead or alive. Benazir Bhutto is now dead. She cannot say anything about her sources of information. 1. Osamas wife and children are in on the conspiracy by colluding with the lie that Americans killed their husband/father? 3. Whoever knows where Osama died from kidney failure so many years ago are also in on the con, by neglecting to say where he is buried so they can prove he died years ago and thus exposing the propoganda machine. You sir, are obviously the master of logic and reason. My hat goes off to you. "Osamas wife and children are in on the conspiracy by colluding with the lie that Americans killed their husband/father?" Has anyone actually seen them? were they interviewed on tv? One thing's for sure here, Osama certainly served the interests of american imperialism well with the "war on terror". You can't deny that!! There are blatant interactions between bin laden and the CIA on record, including that meeting in a dubai hospital when OBL was getting kidney dialysis. They worked together in the russian campaign. Who is to say that they didn't continue that relationship? Wow. Consider myself humbled. Your ability to insightfully infer from tenous evidence has changed my perspective on this whole affair completely. You must be absoutely correct. I see it now, Osama, al Qaeda, Pakistan, Hamas, everyone was just trying their hardest to keep Obama in power. Why is there no pictures of his maimed corpse? Why arent his wife and kids giving TV interviews with passports and DNA checks? 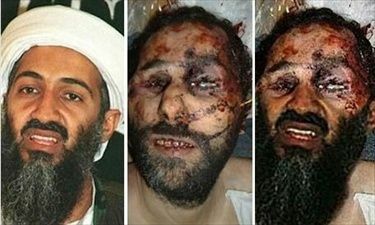 Why arent they sending tissue samples to every country and news company to prove that the 'body' was really Osama? Better watch my back since I know the TRUTH now. "Wow. Consider myself humbled. Your ability to insightfully infer from tenous evidence has changed my perspective on this whole affair completely. You must be absoutely correct. I see it now, Osama, al Qaeda, Pakistan, Hamas, everyone was just trying their hardest to keep Obama in power. Why is there no pictures of his maimed corpse? Why arent his wife and kids giving TV interviews with passports and DNA checks? Why arent they sending tissue samples to every country and news company to prove that the 'body' was really Osama? Better watch my back since I know the TRUTH now. " But where in that entire sarcastic rant is there a whit of hard evidence that proves your case that everything obama said was true?? you're just using cheap ad hominem rhetoric here which is hardly better than anything that you say I did. (also exactly why were the CIA visiting OBL in hospital before 9/11 anyway?? And why were the Bin Ladens the only people flying in US airspace on sept 12?? When you stop the sarcastic rhetoric and back up your opinion with some real evidence, then I'll take you more seriously. Meanwhile, I think T's version is entirely possible. "Al-Qaeda says that he was killed by America: FACT"
"Bhutto is right all the time about everything: NOT FACT"
"America helped Afghansitan against Russians: FACT"
"America now hates those dudes: FACT"
"Kidney dialysis means death: NOT FACT"
"Fake death would be easily disprovable: FACT"
"Sensible person would believe Osama dies years ago: NOT FACT"
"Unrelated facts from years ago make unrelated fact today: NOT FACT"
"T's version is possible: FACT"
"T's version is minutely realistic: NOT FACT"
again unsubstantiated, just your own inflated subjective opinion for which you have not supplied even a sliver of proof just your "opinion" based on what the US president, a man who lies for a living, told you. "Mel Gibson is troll: p < 0.00005 SCIENCE FACT"
No. Mel gibson is an australian actor. By my estimate almost everything you have said in your last post is NOT FACT Gerald. And you show a great Naivete as to how the world works. You did it. You broke me. I was so blind. How could I not see that it is in fact a database on a computer that killed so many people. Goddamn, it seems even more human than arnie in the Terminator. Skynet watch your back! It even fabricated an extensive and thorough wikipedia page for itself. Chilling. Dialysis. Yes so complicated and high tech that common grubbers couldnt live without going to state of the art medical facilities every day. Except they do. Peritoneal dialysis is done by thousands every day by people alone in their house. "I'm not saying he isn't dead. I think he's been dead for years"
Wow. Mel, your ability to maintain your high level of intelectual capacity makes me feel small and helpless. Somehow i'm missing something about how Osama dying years ago doesnt provide easily disprovable evidence that he died recently, and thus unravel a tangle of lies. My mind feels so clouded and inadequate. "so its not fact that unrelated facts years ago make unrelated facts today? so that means you are saying that unrelated facts from years ago make RELATED facts today?" FWOOSH! That was the sound of your F-16 fighter jet of knowledge zooming over my head. Somehow you can logic your way into alternative interpretations of simple statemtents not discernable to us common folk. Maybe with your high-falutin college education they taught you that the statement "Unrelated facts from years ago make unrelated fact today" has multiple negatives in it, but for all my poor brain can muster up, I see no negatives here at all. But thats probably just my sloppy thinking. Oh and I googled some stuff so it would make me sound clever and such, and apparently Bhutto was saying all around that time that blah blah blah, Osama still alive, no one knows where he is blah blah. "If there is overwhelming evidence, I would hope that I would be able to take Osama bin Laden myself without depending on the Americans," Bhutto last week during the taping. "But if I couldn't do it, of course we are fighting this war together and would seek their cooperation in eliminating him." BHUTTO: Bin laden has evaded capture because the pursuit has not been hard enough. 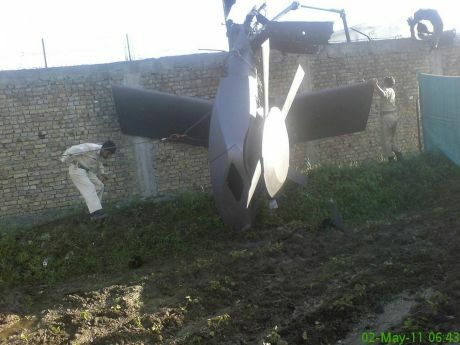 We have to have pursuit of al Qaeda, tall pan, consistently and persistently and not only when there`s pressure on us. Ms. BHUTTO: I think the people who are hiding Osama bin Laden are dead scared of democracy. They're frightened that now President Bush and the United States and the world community is calling for elections, they're doing that best to find some pretext by which they can get the elections postponed, because the people who are hiding Osama bin Laden know it would be very difficult for them to do that if democracy brings the Pakistan People's Party back to government under my leadership. WHITFIELD: So, Ms. Bhutto, am I hearing you correctly in saying that you almost directly blame General Pervez Musharraf for helping to produce these safe havens in Pakistan, where there is terrorist activity, where, perhaps, in these safe havens someone like the Osama bin Laden, the most-wanted terrorist in the world, just might be taking refuge? BHUTTO: I wouldn't like to go so far as to blame General Musharraf directly, but I would certainly say that many people in his administration and his security apparatus responsible for internal security make me feel very uneasy. And I believe that tribal areas of Pakistan could not have become safe havens without collusion of some of the elements in the present administration. And this is why I believe that regime change is very important. BHUTTO: I don't think General Musharraf personally knows where Osama bin Laden is, but I do feel that people around him are many who are associated with the earlier military dictatorship of the '80s. . 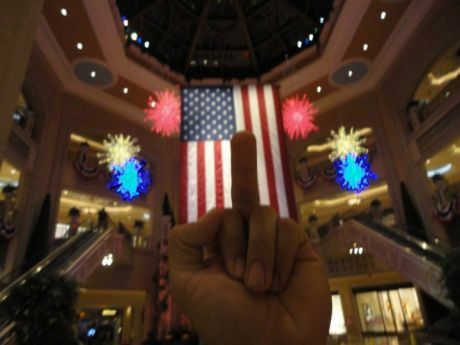 I have discovered the image that was used to make the top half of the fake Bin Laden death photo. I would like you comments on the montage. This interview from Guns and Better, uploaded here and which was aired recently on the GunsAndButter program on KPFA on May 11th was a re-run of an interview done with David Ray Griffen back in 2009 discussing on whether Bin Laden was dead or alive at that time. If you listen to the interview you can be in no doubt that he has been dead since the Dec 2001. In this interview Giffin comprehensively covers the evidence particulary previous mainstream media coverage saying he was dead then how this went quite. In the early years we know Bin Laden was suffering from renal failure and had a stroke, yet in later years he apparently looks younger and healthier and the content of his speeches completely changes and begins to suit the propaganda agenda of US. I would highly recommend listen to this podcast to hear the case. while not latching onto any conspiracy theories here,several things strike me as a bit odd; that this successful operation occurred the same time as an apparently bogey looking birth cert was produced, a 6 foot 3 inch guy could walk around the middle east unnoticed for 10 years, and why nobody decided to check that damn compound!